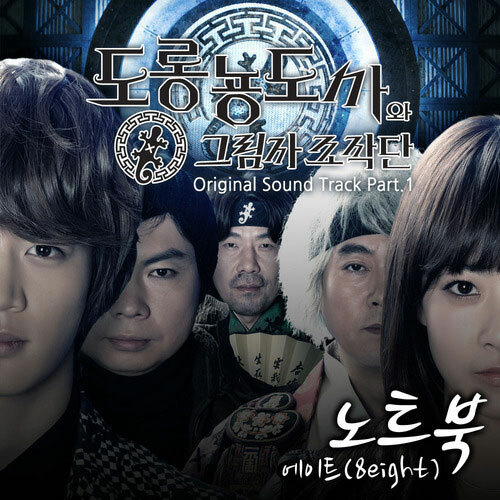 The first original sound track of SBS sitcom Salamander Guru and Shadow Operation Team (Salamander Guru and the Gans) is released on January 27th, 2012, the same day of which the drama series debuts. The Salamander Guru and Shadow Operation Team OST part 1 contains a song named with the title of Notebook (노트북). The song of Notebook is sang by 8Eight (에이트), a South Korean trio group consisting of Baek Chan, Lee Hyun, and Joo Hee. The song is composed, written and arranged by Hong Jin Young (홍진영). Listen to Notebook (노트북) at YouTube.